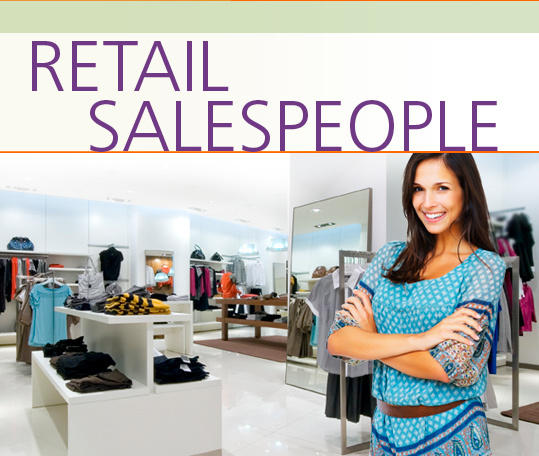 A Retail Salesperson assists customers by offering suggestions and opinions, and finding the products they are looking for. They process payments and notify customers of sales and new merchandise. In the Retail Salespeople Career Extension, students learn how to interview for a job and discuss their education, training and work experience. They learn about job responsibilities and work conditions, and discuss company guidelines and policies. They learn how to discuss payment terms, prices and merchandise return policy. They learn how to greet customers, recommend a product and talk about a product’s features. They learn how to deal with feedback from both clients and superiors and talk about their strengths, weaknesses and goals for the future.